In Mississippi, school bus drivers need to have background checks before they are hired to drive our children. Recently, a school bus driver in Jackson County, Mississippi, had two bus accidents in less than one month. The second wreck caused five children to be hospitalized when the bus ran off the road and overturned. Fortunately, the first wreck involving this same bus driver only caused property damage and no injuries. 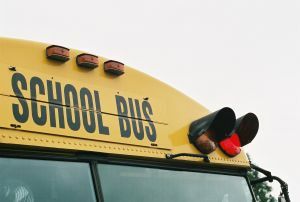 According to Superintendent, Barry Amacker, Jackson County Schools are having difficulty filling all the available jobs for school bus drivers. All the students injured in this accident were Vancleave Middle School or Vancleave High School students. The Jackson County Sheriff, Mike Byrd, indicated the Sheriff’s Office was trying to reconstruct the wreck to determine exactly what happened. The Sheriff indicated that speed might have been a factor in the wreck. You can read more about the above stories at School Bus Accidents in Mississippi.